Today is Cinco de Mayo, a holiday celebrated by many in America. But do you know why we celebrate Cinco de Mayo? The holiday is frequently confused with Mexican Independence Day, and while they both mark the start of wars where the Mexican people were fighting to defend themselves, the two events took place over 50 years apart and for very different reasons. Whether your family has a Mexican heritage or not, use today’s holiday to celebrate an important part of American and Mexican culture. 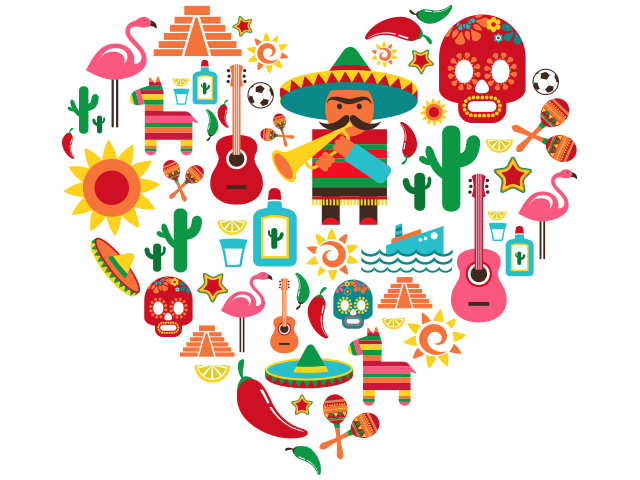 Here is a quick overview of the two Mexican holidays to help you tell the difference as you and your family join in on the fun. ORIGIN: The celebration of Cinco de Mayo originated in Mexican-American communities across the west and southwest of the United States to celebrate freedom and democracy during the beginning of the American Civil War. On May 5, 1862, the outnumbered Mexican army had an unlikely win over the powerful French forces in the city of Puebla. The win rallied the Mexican nation, bringing them together and instilling a patriotism that continues to live on in its citizens today. The battle of Puebla took place over 50 years after Mexico had declared and eventually won its independence from Spain. WHERE IT’S CELEBRATED: Mostly in the United States of America, especially in the southwestern states. It is also celebrated in the Mexican state of Puebla where the battle took place. TRADITIONS: The holiday is celebrated with parades, ballet folklorico dances, mariachi music performances, and street festivals in cities across the United States. ORIGIN: The celebration of Mexican Independence Day, known as Diez y seis de septiembre (September 16), began in Mexico in 1825 to mark its declaration of independence from Spain. On September 16, 1810, in the small town of Dolores, Mexico, Father Miguel Hidalgo y Costilla, now known as “El Grito,” launched a rallying cry to declare freedom and equality for all citizens of Mexico. After more than a decade of war, Mexico finally won its independence in 1821. WHERE IT’S CELEBRATED: Throughout Mexico and in some cities and towns across the United States. The celebration includes traditional Mexican food, music, dancing, and parades across Mexico. In the United States, the day is celebrated similarly to Cinco de Mayo but on a much smaller scale and with less visibility in the media.